Luxury 3 bedroom villa near the Crowne Plaza Hotel. The villa is located in a quiet area 500 meters from the beach. The complex where the villa has a swimming pool. The villa is 260 m², a spacious living room with dining area and open plan fully e..
On the ground floor lounge, 2 dining areas, kitchen, laundry room, double bedroom with en suite bathroom and a separate exit to the garden, guest toilet. Three bedrooms upstairs and lounge with stunning views of the sea. There is Wi-Fi, fireplace,.. Ideally located around 300 metres from the centre of Pernera and gorgeous sandy beach, this spacious three bedroom villa features open plan living area including seating and dining areas and kitchen. 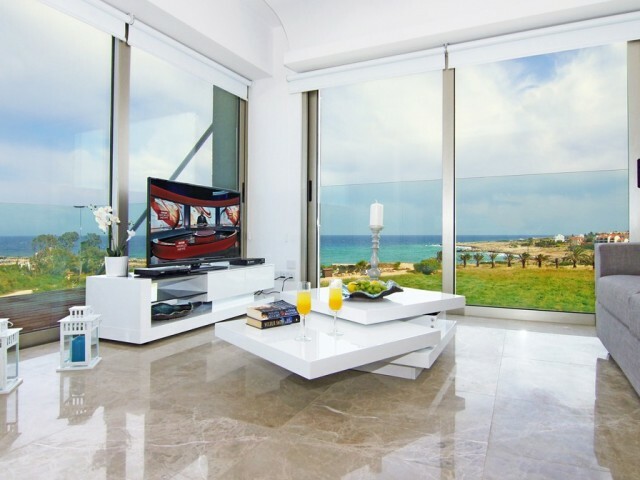 Living area opens to veranda covered with pergo..
Villa with 3 bedrooms with panoramic views of the Mediterranean Sea. The house is situated on a hill from where you can admire the view of the sea, and in the evening sunset. Large swimming pool, fireplace and all you need for a complete and comfo.. 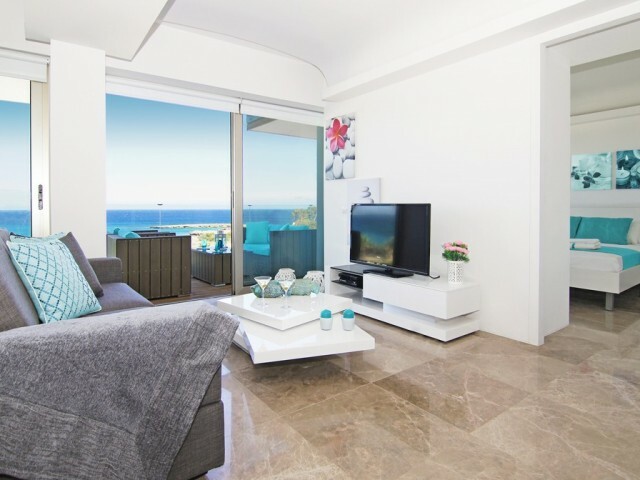 Ideally situated in a brand new gated sea front resort 50 metres from the beach and close to the centre of Protaras, this apartment offers breathtaking sea view. The resort less than 200 metres away from the beautiful Lombardi Beach and golden san.. 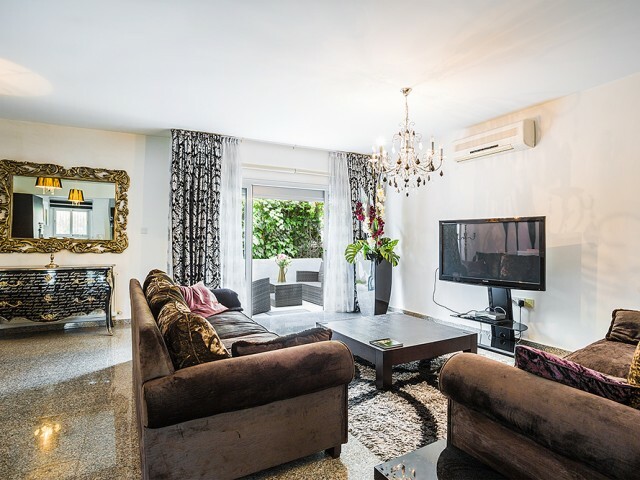 This luxurious two bedroom apartment is ideally situated in a brand new gated sea front resort 50 metres from the beach and close to the centre of Protaras. The resort less than 200 metres away from the beautiful Lombardi Beach and golden sand of ..
Large two bedroom apartment for rent in our award winning project SAVOYA (Best Redevelopment award 2011). The apartment enjoys two generous bedrooms each with their own private bathrooms. Large open plan living/dining area with kitchen overlooking.. The house is located in one of the finest places in Cyprus Pissouri village between the towns of Limassol and Paphos, an hour's drive from Larnaca International Airport and 20 minutes drive from Paphos airport. The beach is within walking distance.. Spacious three-bedroom villa near the sea in a quiet gated community. Distance from the sea 2 minutes walk, sea view from the second floor offers a villa. Coral Bay area is famous for its beautiful beaches with golden sand and clear turquoise wate..